Looking for beautiful New Zealand kitchen designs? 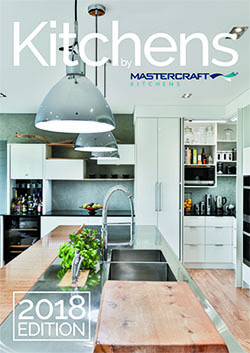 The Mastercraft Kitchens 2018 Look Book is out now! Order your FREE copy (including free delivery throughout New Zealand). Our Kitchens Look Book features a fresh selection of some of our finest kitchens completed recently, and includes plenty of helpful tips on kitchen design. With 27 locations nationwide, there is a Mastercraft Kitchens near you. We design, manufacture and install our kitchens ourselves. For end-to-end professionalism and a top quality finish you’ll love spending time in for many years, come and see to us first.